Can you touch a prayer? Can you pull it close and feel its comfort? You can if it's part of a prayer quilt or prayer square. The idea behind these quilts and squares is simple, yet powerful. After the quilt or square is made, it is blessed at Mass. After Mass, the quilts are layed flat on tables outside of church. A heavy thread which was used to make stitches through the quilt layers are tied with a square knot by Mass participants. As each knot is tied, a silent prayer is offered for the particular person the quilt was made for, someone in a special need...someone who has asked us to pray for them. The quilt will then be given to that person. Prayer squares are available for emergency needs. What makes each quilt so special is not the colors or the patterns, but the fact that prayers are symbolically tied into each one! 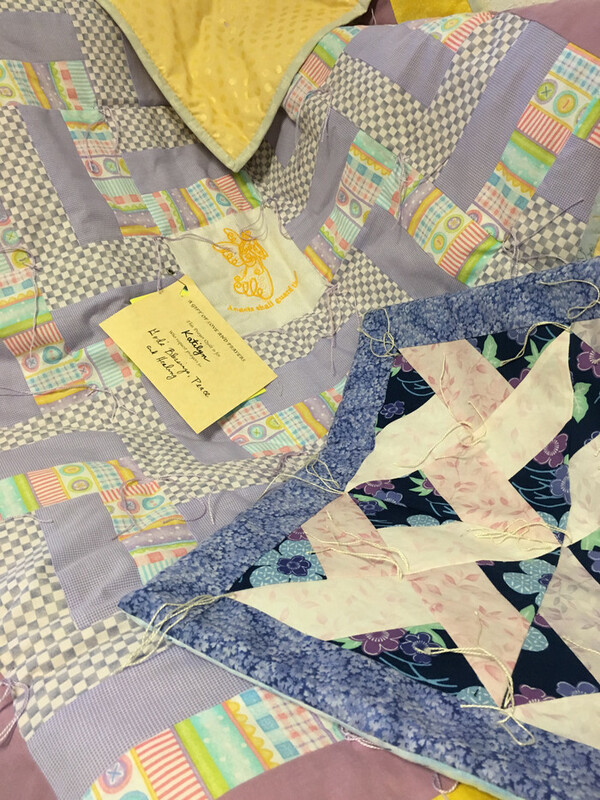 Donations and gifts of fabric are accepted, but, for donating fabric, please call Nettie to make sure the fabric is the correct kind for quilting. Nettie can be reached at (619) 251-2214. OLG's Prayer Quilt Ministry, chapter 429 of Prayers & Squares, is made up of many quilters, sewers-but-not-quilters, and non-sewers. It takes many hands and various talents to complete each one. No previous quilting experience is needed! We will teach you as we go along. Please use the below form to order a quilt.